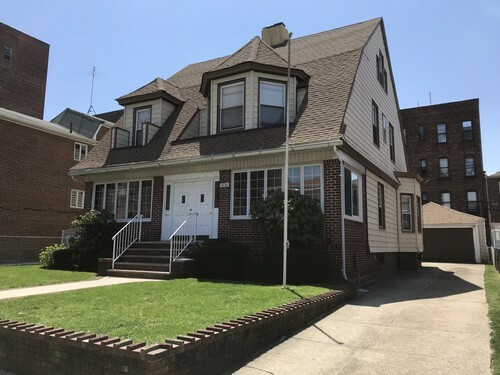 Many original details adorn this lovely and well-maintained detached single family home which sits on a 60x100 lot in prime Bensonhurst location. The first level of this sprawling house features a sun drenched sitting room, formal living room and dining room, extra large eat-in kitchen and bath. Second level has a spacious master bedroom, three additional nice size bedrooms and full bath.Third level has two additional rooms (bedrooms). Long private driveway and two car garage. Abundant closet space and storage. Full basement, gas heat. This property is very convenient to buses, train, shopping and eateries. Note - All stained glass window panels will be replaced with glass prior to closing.